Another day, another coaching change. The NHL season isn’t even a quarter through its regular season and already another coaching change has been made. Darren Dreger of TSN reports the Edmonton Oilers have relieved head coach Todd McLellan of his duties and brought in Ken Hitchcock to assume bench duties. The Oilers later confirmed the report. McLellan becomes the fourth head coach fired this month. The Los Angeles Kings made John Stevens the first coach fired after an old, expensive team won just four of their first 13 games of the 2018-19 season. Stevens getting canned wasn’t surprising considering the team’s struggles, but did happen despite him only getting one full season in L.A. He was replaced with former Canucks coach Willie Desjardins. Meanwhile, the Blackhawks made the curious decision to fire longtime coach Joel Quenneville after a slow start to the season, replacing him with 33-year-old Jeremy Colliton. Just yesterday, St. Louis moved on from Mike Yeo after the team opened the season with 12 losses in 19 games, replacing him with Craig Berube. During all of those firings, McLellan’s name remained firmly on the hot seat. Edmonton’s November has been a disaster. After opening the season strong with eight wins in 13 games, the Oilers have stunk it up, losing six of their last seven games, allowing at least four goals in every single loss. That’s simply unacceptable when you suit up with Connor McDavid, the league’s best and most exciting player, every night. McDavid has been giving the Oilers everything he’s got, sitting third in the NHL with 28 points in 21 games. Somehow, Edmonton hasn’t capitalized on his talents and that has cost Todd McLellan his job. In three and a half seasons, McLellan coached the Oilers to just one playoff appearance, back in the 2016-17 season. McLellan doesn’t deserve all the blame, however, or even half of it for Edmonton’s failure. General manager Peter Chiarelli does. He’s proved he’s consistently bad at roster construction. He’s failed to develop prospects, signed some horrible contracts (Milan Lucic, 7-year, $42 million in 2016), and made some of the worst trades in NHL history (NHL MVP Taylor Hall for depth defenseman Adam Larsson). Chiarelli was gifted McDavid and has done literally nothing to help him succeed. It’s a damn shame, and he should have been canned as well. But, GMs have more leeway than coaches. Hitchcock under contract until end of the season. Then, the Oilers will re-evaluate. Perfect situation for a team that may fire the GM if playoffs missed. Bringing in Hitchcock is an odd, but understandable, panic move. 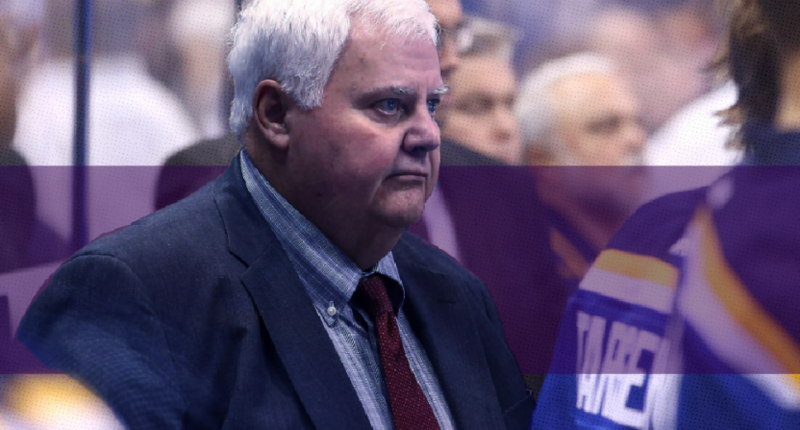 All Hitchcock has done in his NHL coaching career is win, accumulating a .603 winning percentage in more than 1,500 games split between Dallas, Philadelphia, Columbus, and St. Louis. Hitchcock retired from the Stars after missing the playoffs in his single season with the club. He’s an old-school coach who’s going to be expected to win immediately. For Hitchcock, coaching McDavid is clearly worth the pressure. Coaching changes are hard to predict, but Edmonton, like every other team who’s made a change earlier this season, is hoping Hitchcock can stabilize an increasingly volatile situation and win games. The Oilers have hit rock bottom in the McDavid era, now it’s time to see whether they can pull themselves back up.